Welcome to the Vintage Clothing web site. Thanks for taking the time to learn a little about us. Before we share our story, let me help you understand a bit about vintage clothing. Fashions from the 1920s to 20 years before the present day is considered vintage. 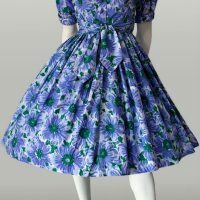 Sometimes you will see clothing described as retro (short for retrospective), or vintage style, which usually refers to clothing that imitates the style of early eras. What makes our clothing different from this? 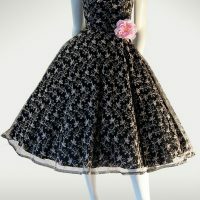 Our timeless fashions are GENUINE vintage clothing. We do not sell replicas or vintage look-a-likes. 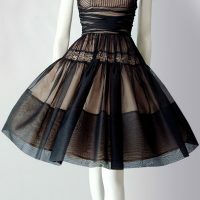 When you purchase one of our vintage dresses, you can be assured that it is a genuine early era garment. 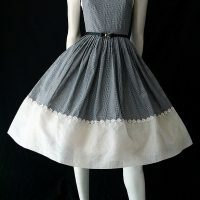 Some of our vintage clothing has been previously worn, but a percentage of pieces have not, which makes them very rare. These are often old shop stock, and more valuable than those that have been worn, especially if they have their original tags. 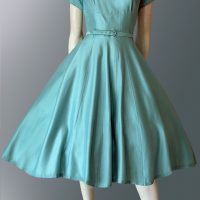 It is extremely hard to find genuine, unworn vintage clothing in mint condition, but we have been fortunate to source some and offer them for sale. They may be either commercially produced or handmade by individuals. Either way, they are exceptional pieces that will compliment your vintage clothing collection. We encourage you to browse through our clothing shop and view the timeless fashions for yourself. Visit the product description page to view full details of each item including sizing, brand, era, condition and more detailed images. 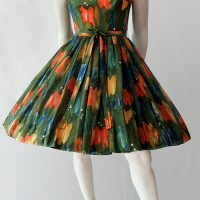 We are an online boutique vintage clothing store, and our products are sourced from around Australia and abroad. We stand for style and quality with integrity. 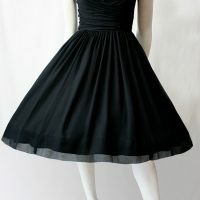 Vintage Clothing believes that our fashions will help you stand out. 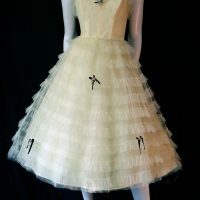 Contact us if you wish to learn more about Vintage Clothing, or have any further questions.